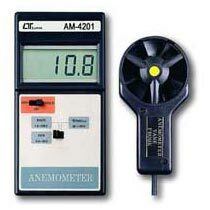 The Anemometer, manufactured by us is an advanced device that is ideal for checking the air conditioning and heating systems. Its compact housing cabinet makes it convenient to use. It is especially designed by our experts that give highly accurate readings.